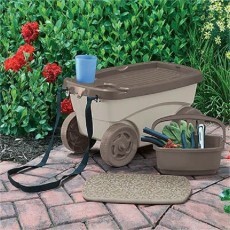 This 2 wheel garden cart can be used to store and transport dirt, mulch and other outdoor items. It’s lightweight and easy to use with a 15L capacity. 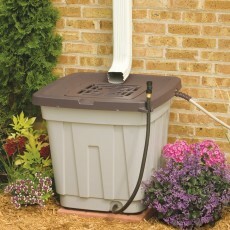 Keeps all gardening supplies in one convenient place. Foam cushion provides comfort while sitting or can be removed for use as a kneeling pad. 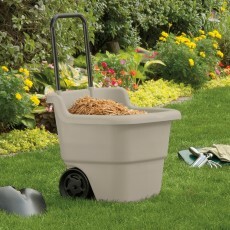 Ideal storage caddy for any gardening and outdoor projects. 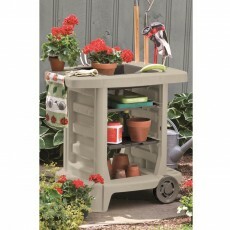 Durable solid resin construction makes the cart lightweight and easy to use. 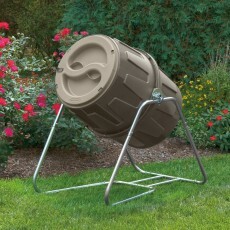 This Suncast tumbling composter makes compost in 3 ? 4 weeks vs 1 year in a stationary composter. Sturdy steel frame and durable resin construction.